« Will it all fit? The GB360 kit list…. 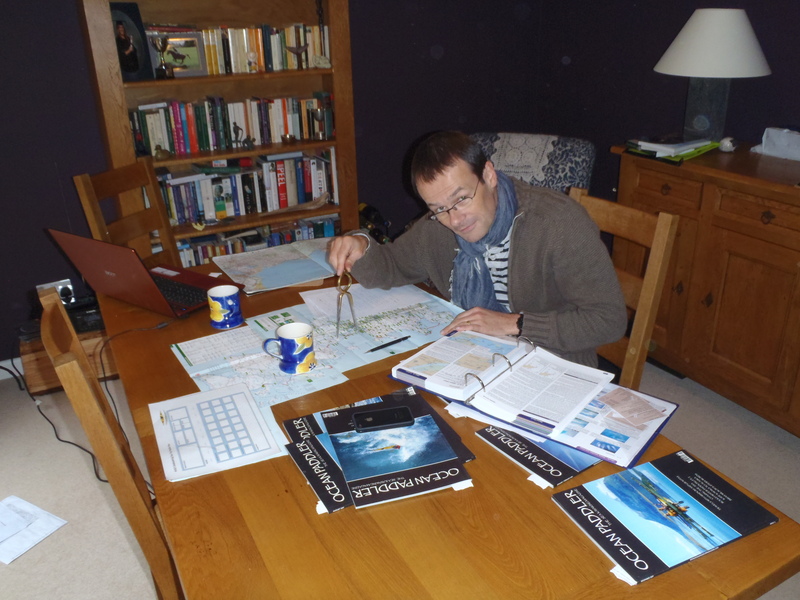 In the ideal world, each day we would want to consult tide times, tidal stream atlases, Admiralty charts for dangerous races and overfalls and the ocassional MOD firing range. However, that would probably amount to around 20Kgs of additional weight. So we are doing the research and risk assessments before we leave. The best maps to use we have found on which to summarise all the information we need are actually ordinary OS road maps. We bought a couple of second hand for less that a £1 each and promptly spent hours cutting up the coastline into strips and stuck them onto clean sheets of A4 paper. We are now making passage, tidal and risk assessment notes on these sheets before we laminate them. Each sheet is double-sided and covers on average around 100 miles of coastline or 4 days of paddling. So that way we avoid taking several sources of information and cut down on weight. We can even send some of the laminates ahead to friends who live around the coast so we don’t have to take the full set with us. 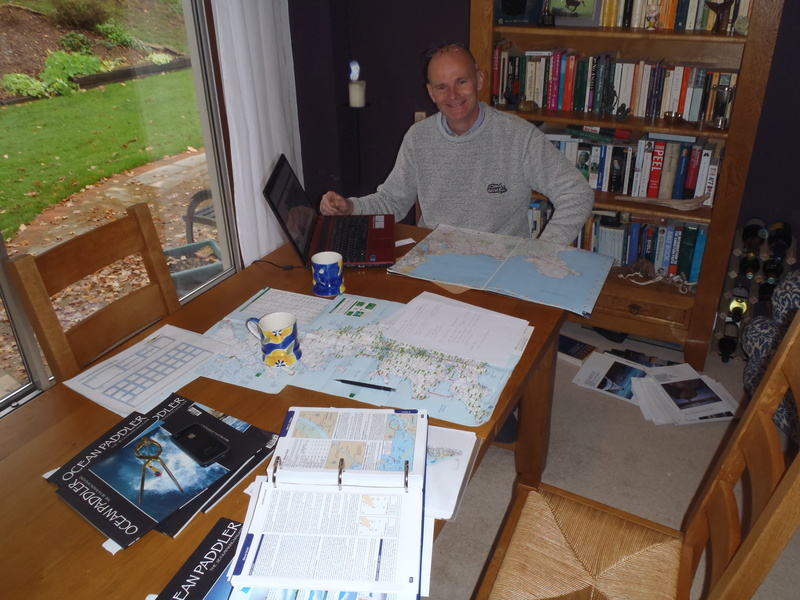 Route planning over a cuppa! Does he know how use those things?